Being with Littauer gave Hugo-Vidal a sense of the history of horsemanship and the continuity of the sport. He laments that for some horse professionals, “Littauer is a century away,” when in fact his principles of horsemanship were developed in response to the advent of public riding instruction in this country. A man ahead of his sport, Littauer’s system still makes it possible for riders to ride safely and effectively in a sport which is increasingly geared toward the amateur horseman and recreational riding, whether that means weekend shows, trailrides or even foxhunting. According to Hugo-Vidal, an “S” licensed judge in dressage, the forward riding system lends itself to dressage. He relied on Littauer’s method to help his first wife and their Thoroughbred stallion earn a berth at the 1956 Olympics. “It sounds like it wouldn’t work, but at the highest levels of dressage, you want to achieve the same goals: self-carriage, expression, and willing obedience, instead of drilled submission,” he explains. Hugo-Vidal finds that the courses used at many of today’s hunter shows discourage forward riding. “Course designers should create courses that ask the rider to ride out of a rhythm and use their eye,” he explains. “You can’t have pace if the course is set up to reward mediocrity” through a strict adherence to a calculated number of strides between fences. The AHSA judge recently addressed this issue in The Chronicle of the Horse. He has successfully adapted his training and teaching to the modern show world, yet it saddens him to see classes like field hunters and hunt teams-once cornerstones of hunter competitions and showcases for the sport-marginalized at the top shows. “I hate the demise of the outside course, which is partly because of time constraints (it takes longer to ride, so it’s less financially rewarding for show management). It taught students to ride off their eye and to find a spot out of rhythm,” he states. Hunt team competition also has its roots in forward riding: “You don’t need the fanciest horse, you need precision, and you need to know timing and distance. Hunt team riding teaches discipline and to think about someone besides yourself,” Hugo-Vidal concludes. His Cedar Lodge Farm retired the hunt team trophies at both the National Horse Show (in New York) and Devon. 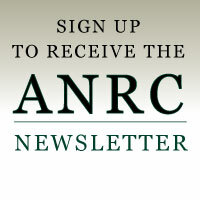 Hugo-Vidal thinks that the “ANRC is one of the horse world’s best kept secrets. There were a plethora of lovely horses at the Nationals this year. And that other 30 percent-they were probably from schools that don’t teach the forward riding system, but that’s up to the coaches,” states the judge.